Dow AgroSciences Australia and PICSE (Primary Industry Centre for Science Education) have come together to encourage young students to careers in agribusiness and research as future Australian scientists. Dow AgroSciences will fund sponsorships to help PICSE educate students and teachers about opportunities for careers in science, according to Dow AgroSciences’ Research and Development Leader for Australia and New Zealand, Dr Matt Cahill. Dr Cahill says that emerging issues such as food production, climate change and sustainable use of natural resources will be solved by the scientists of tomorrow. He believes it is important to help students choose science by Year 10 of high school to develop the skills to address these challenges. PICSE is an independent organisation funded in part by the Federal Government. Offering various programs including science class activities, teachers’ professional development, teaching resources, student camps and student industry placement programs, PICSE hopes to encourage students into entering the world of science by showing them career choices and prospects available today. According to PICSE, approximately 30 per cent of students who were previously unsure about choosing science go on to commit to studying science at a tertiary level. Dr Cahill observes that PICSE is able to illustrate the benefits of a scientific career very clearly by working directly with teachers and students. He believes that by being part of the program, Dow AgroSciences can show students that scientific work such as researching and developing crop protection solutions can be very rewarding. Additionally, it gives them an opportunity to showcase their company to the future scientists. Dow AgroSciences recently launched a new brand campaign to help customers understand the high level of expertise that goes into the development of each product. Given that a huge investment is made in developing products from the initial idea through development, testing, manufacturing and trialling, it is important to attract the very best scientists now and in the future to be able to continue providing that commitment. 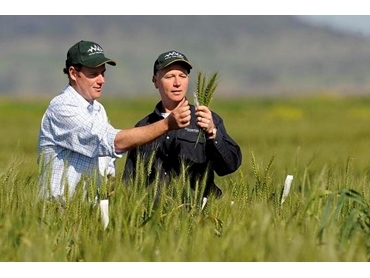 The initial sponsorship agreement covers activities in New South Wales where Dow AgroSciences Australia is headquartered and has a field station at Breeza on the Liverpool Plains. Following the successful completion of the initial phase, Dow AgroSciences will consider a more comprehensive sponsorship arrangement. PICSE’s National Director, Associate Professor David Russell says that the organisation relies heavily on sponsors to enable them to attract the country’s brightest minds to careers in science. He adds that Dow AgroSciences’ national role in the agricultural chemical and biotechnology industries makes it a particularly attractive potential employer for future science graduates, while hoping that the partnership with Dow AgroSciences will have positive outcomes for the company and the students in the future.